More about iittala Toikka Alder Thrush 2014 Annual Bird While some of Oiva Toikka's annual birds are artistic depictions of true species, others are hatched solely from his infinite imagination; the iittala Toikka Alder Thrush is a stunning example of the latter. 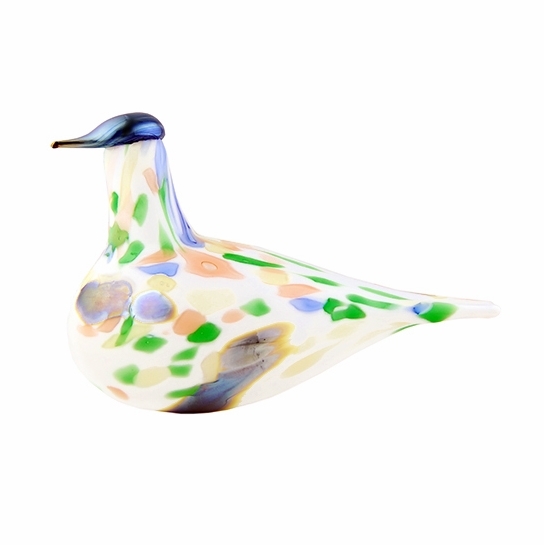 Captivating color flakes seem to float upon the milky complexion of the bird's opal glass body, a portion of which are slightly raised to achieve a rich texture. Random in size, shape and placement, this complex coloring technique will emphasize the unique nature of these individually mouth-blown birds. 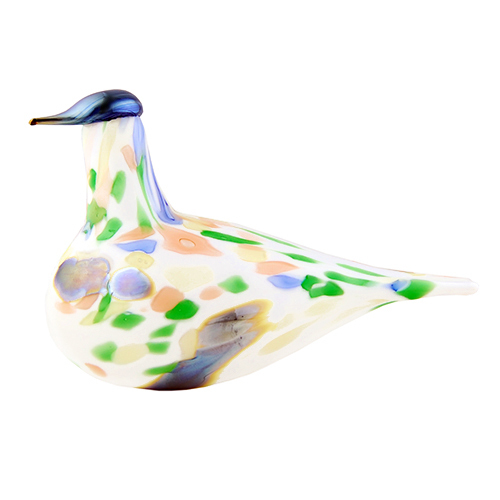 A special edition design only in production for one year, the handcrafted iittala Toikka Alder Thrush 2014 Annual Bird is the perfect piece to add to a glass birds collection or to start a new tradition with. With production limited to only one year, each handcrafted iittala Toikka Alder Thrush carries the signature �O. Toikka Nuutaj�rvi 2014� on its base to ensure authenticity.